Is Radio Headed For a Digital Cliff? Digital music services continue to drive recovery of the music industry after a long period of decline, and the AM/FM music radio business is starting to feel it. Young people born after Millennials don’t use radio the same as previous generations. Can commercial AM/FM radio compete with pure play digital music services? Russ Crupnick of MusicWatch and Steve Goldstein of Amplifi Media join us to discuss what’s happening to radio listenership, and how radio needs to respond to the threat posed by unlimited, commercial-free music. The way radio pays for music it uses may have acted as a kind of an economic disincentive for radio to invest in its own digital future. AM/FM radio broadcasters in the US pay a tiny amount, about 4% of revenues, to songwriters and music publishers, but American AM/FM stations are exempted from paying anything to the artists who performed the music or their record companies. This exemption doesn’t apply to digitally delivered radio streams, like SiriusXM or Pandora, or even the digital streams of AM/FM radio broadcasters. Edison Research’s “Share of Ear” report shows that AM/FM radio is responsible for over half of all time spent listening to music in the U.S. among listeners 18 and older. 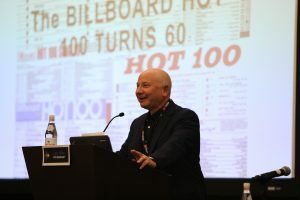 Radio believes the power of its strong, local brands will insulate it from digital competition. However, this may not be the case in the car as the dashboard reconfigures around connectivity with advanced digital services. The car is currently the number one location for listening to radio, and automotive is the number one revenue category for radio. 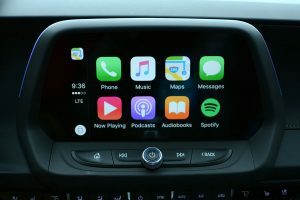 The connected car and its multiple audio offerings may be the greatest threat to AM/FM radio broadcasting, with 75% of new cars expected to be connected by 2020. Listen to this episode of Musonomics as we dive into the uncertain future of radio.